Denise Covey: Blogging again! How can we promote more imaginatively? Do we exclude new bloggers from the blogosphere? Blogging again! How can we promote more imaginatively? 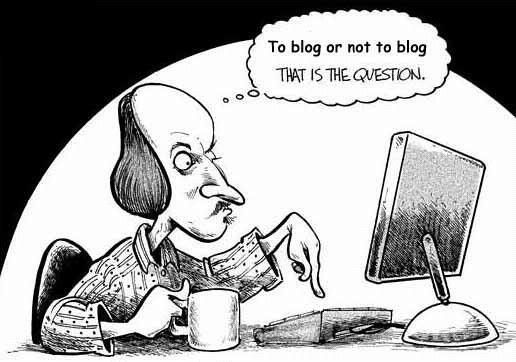 Do we exclude new bloggers from the blogosphere? When I posted about blogging here recently, I've never had so many LONG comments in all my time blogging. There are many concerns in the blogosphere, as bloggers adjust to more competitive social media, all of which seem to have morphed into selling machines. Twitter, Facebook etc, and blogging are cluttered with cover reveals, blog tours, book launches. While bloggers who have/have not published books understand the need for promo, it would be sensible to tone it down somewhat. Bloggers are weary of it--not just me. But I can't let all those comments go to waste. Please go to the post if you didn't visit it, but there were many comments on topics such as promo, about what we should blog about, and sadly, new bloggers who feel they can't break in to a tightly-established community, even though they tried the A-Z. Alex J Cavanaugh: Talking about life is always interesting. Constantly talking about one's books is not...I do intend to adjust what I post about. You're right, too many cover reveals and such. I'll still do Ninja News, letting people know about new releases, but I'd like to shift back to more movies, music, games, and science fiction stuff. And trivia! It's been so long since I did any trivia. M Pax: I don't think the blasts are a waste. The author is trying to be seen and each blog gets readers the author couldn't otherwise reach. Stephanie Faris: I do wish more people would focus on content rather than book reviews and book blurbs. We all have to support each other, but every post doesn't have to be a book review. klahanie: Call me cynical, but a number of bloggers make out they are part of a sharing, caring community when all they really want is to accumulate superficial blog follower totals. I find that very sad. Anne Gallagher: I skip posts of cover reveals and reviews. I skip posts that are too personal (some people overshare). I skip posts that don't appeal to me. As I'm sure that's why people skip my posts as well. (I know Anne is happy for her books to slowly sell themselves. I read that on her blog awhile ago). Medeia Sharif: I'm having a harder time reciprocating comments, but by the end of the week I'm caught up. When I visit blogs I prefer short posts. If a post is long, it needs to be very interesting to hold my attention. I've stopped visiting some blogs because of excessive wordiness. Michael de Gesu: Ebook publishing has changed our world DRAMATICALLY... Now authors are publishing two-twenty books a year. It's overwhelming. Who can possibly keep up...Plus I don't really see the need for COVER REVEALS...Yes, I know they are the Craze, and God only knows how many I have featured, BUT I put some creativity into the event and if Bloggers only chose THREE MAX bloggers to feature their cover that would be MORE than enough to get the word out. Being selective would give so much more meaning to this event. AND to do them months before the release day, to me, is crazy. Why? If you want to do a reveal do it a week before, or even a few days, Get the community excited about it, then when your book launches we will be there celebrating with you. Nilanjana Bose: ...I did participate in the A-Z this year, and I loved the work involved and grew as a poet and blogger, but as far as community building goes I don't think much happened. Blogging communities are pretty much established by now and tend to be tightly knit, and newcomers can feel out of place. So there you have a selection of comments. Do you agree/disagree with some points of view? How can we make blogging more interesting again? I still LOVE blogging BTW. These posts are simply about where do we go from here? I know some author blogs are set up just to sell their books, so all posts are about their books. This is interesting, maybe, if you're really into their books, but many aren't really hosted by the author, they're hosted by a paid tech-savvy blogger. Try getting a comment returned from one of them!! We'll never satisfy everyone--I LOVE long posts which have something to say, helping me learn more about writing, but many skip long posts due to time constraints. 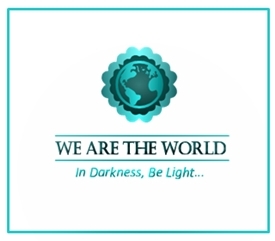 I find so much of interest at Anne R Allen's blog and Karen Woodward's blog--check out my blogroll in my sidebar if you haven't visited them. I keep my blogroll up to date with those bloggers who interest me. If you're not on the list, don't worry. I probably visit you all the time anyway. I always reciprocate comments. While I'm on someone's blog, I hit a random commenter I've not met before and pay them a visit. Sometimes I find a delightful blog, other times it's all about science fiction, lol! 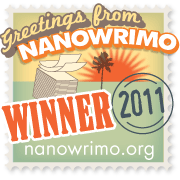 More I keep on a blogroll at Write...Edit...Publish. To tell you the truth, one reason I started a blog was to share things that occurred to me, about writing, about books, and sometimes just about what was on my mind at the moment. Sort of a journalling with friends, rather than just journaling. Naturally I mention my writing projects, but I've enjoyed most of all meeting writing friends with common interests, and I really do think of my blog connections as a community I like to drop in on and converse with, SOMETIMEs I do think bloggers are out there just to promote their work, and I do have to confess that I do skip a lot of cover reveals and bloghops. Whereas, I love it when a blogger friend shares a site where they've been pubished, or mentions a change of hobby or interest, or shares good news in general, or shares a good book they like. I suppose what I look for when I read blogs is genuine communication. I do believe that every blogger has the right to share what they want--it's their blog. But when you turn it over to just promo, you will lose visitors. In between, you have to do something interesting. I always love visiting your blog Elizabeth, and am sorry I can't get by every time you post. I loved Hilary's comment, Denise, and Michael's above. Length doesn't deter me, if the subject and content are interesting. I'm so tired of hearing that people just can't read long posts. That doesn't bode well for reading a novel, then, does it? Those who enjoy blogging will continue. Those who don't still have the short form social media outlets. I'm with you, D.G. As long as the content is interesting, I'm yours. The short form social media outlets are not near as interesting to me, even though I dabble. Thanks for your visit. I hope things are progressing positively in your situation. Michael's comment on cover reveals is interesting and kinda makes sense in this super fast changing world where are attention spans are shortening by the day. Book reveals months before a release are supposed to stir up interest--and they have worked really well in the past--but we're now used to a much faster world and by the time months have gone by we've either forgotten or given up waiting, or think it's old news. I agree with Michael, too, but he does do it well when he does it. I just wish he had a book to promote after all his super hard work on behalf of other bloggers. Me, too, Denise! Lol... hopefully soon. I'm working on it. Totally agree, Denise. I like that he takes the time to do it differently. Best wishes to you, Michael. Hi Denise - thanks for the shout out and Michael seems to have hit the nail on the head here ... I'll be back to read properly later on. I'm about to put a post up on creativity and am linking to your previous post and now this too .. I completely agree with the not-reading-long -posts comment. I fit blog-reading in between other stuff. I can't sit down to read long essays every time. I try to drop by a few every day, so if someone has written 2000 words I simply give that one a miss. I love long, good posts, Jo, and will make the time to read, just like I prefer a long, good book to a funky little novella with little to say. I agree. I never want an intriguing story to finish, no matter how long it is. It's all about the quality of work. Interesting to read a round-up of the comments, I think the discussion will continue around the blogosphere. I admit to skipping reveals when they are all over everyone's blog because there is a limit to the number of times you want to read the same information or can make an appropriate comment, however interesting or intriguing it may be! I do a few reveals and promos for others, I do feel they have their place and it is always nice to help a fellow blogger, but I usually find the comments left on such posts are down on what I would usually expect. Maybe another sign other's feel the same perhaps? I skip reveals when the publication is months away. I'd never remember it. I like Michael's idea of only days away. Same with book publication. Don't tell me until it's nearly here. We have short attention spans for that type of thing, especially when it seems every blogger is publishing a book. Hi Denise - I think you've summarised very well - the blog hop I do enjoy is the A-Z Challenge: gives me a creative outlet and I do meet new bloggers who have become friends .. and I've popped over to Nila's blog to join her. I think we all essentially agree - we each have our tastes, our own time and our way of doing things ... all I can say is thank goodness for some who will read long posts - though I try and keep mine under 1,000 words - and for all the commenters --- if we reciprocate it builds our bloggign base. I differ on the A-Z, but understand why people like it. I did for the first year or so, but soon found its flaws. I visited a lot this year, even though I didn't participate, but found virtually no one returned the favour once they saw I wasn't a 'member'. Ridiculous. I still had posts up. Luckily for you, others do like long posts. I always allow a lot of time and a cup of tea when I visit you! So pleased you come over to read .. but a cup of tea with a damask rose nearby can't be bad! Thanks for opening up the discussion though .. I'm loving it Hilary. Thanks again for the rose and cuppa~inducing posts. I miss the old days of blogging, when I often posted twice a week, in the days before I had anything published! 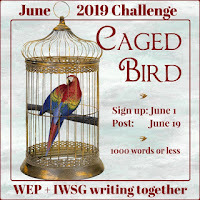 I'm not comfortable promoting my writing, though I know it's a necessary evil these days, and I also have less time for blogging (and commenting on others' blogs) so tend to use FB more (can't get into Twitter) and do as little advertising as I can. Nothing worse than constant bombardment of cover reveals etc! You got that right Karen. Promo is hard, but I think it can be done better than hammering away on our blog. I've never had to promote my book, not that lucky yet, but I don't promote any of my other successes in short story writing and travel writing. Oooh thrilled to bits to see my name up there! :) Thanks, Denise. And I read whatever interests me, length no bar. Nilanjana, go visit Alex. He will return your visit, even if he's not into poetry. See next comment! Mixing up the promotion is a better idea. The same thing over and over is boring. (I'd tried to mix it up for my last release - the 160+ who signed up to announce all asked an interview question and were sent different material. It was a varied as I could possibly make it.? As for new bloggers - come by my place and say hey! The Ninja Army is always open. Besides, I remember what it was like to have next to no followers. And if you have any money left on your Amazon card, CassaStorm is only four bucks! I like to see it mixed up and I intend to do so when I'm invited to be a book tour host. I remember that interview question I did when I helped you launch one of your books. I already own CassaStorm, Alex, thanks all the same sir. But thanks for noticing that part of my post. Thanks for posting some of the comments. I agree with Michael that it's hard to keep up with all the books coming out. I know my posts tend to be too long because of my interviews with authors but I hope my followers pick up something helpful from them. I do think the community of bloggers we find through Alex's blog is a really good community to get involved with. It's how I found most of my most loyal blogger friends. And those are the ones I follow the most regularly now. I do hope new bloggers find a way to connect this way. I think when you're starting out it's essential that you follow a lot of blogs and comment to make friends. Yes, Natalie, I must admit I skim your long posts about new books. But I always find an interesting section in an interview. There are so many who just want to sell and post the same damn thing week in week out and expect comments, pfffft to that. I've found a few bloggers have come and gone, but for the most part those I enjoy are still around and not changing to the me me me, buy buy buy ways. I think most of us are sick of the me, me, me mentality. Let's shake it up a bit you, you, you. I kills me to see some of my favorite blogger pals turn into the "me, me, me" monsters. I will never turn into that. An occasional mention is all it should be. Since forever and a day ago, I have been a blogger, but I hang out mostly in the dog-blogging world. The sad limiting factor is the life-span of our dogs. The blogs over there that have lasted are the ones where the writers deal with many aspects of their life and relate it tangentially to their dogs. One writer, for instance, began writing a series about her husband's stroke and how she dealt with his aphasia. Their dog featured centrally, throwing up on the husband's feet, eating his medication, and generally bringing fun into their lives. It was actually a wonderful blog, and when her husband's life came to an end she published her blog as a book, which I bought. Another dog blogger branched out into children's novels about a pack of adventurous dogs (she's a good writer) and now has published a couple of light romances. She does promote her novels strongly in her blogs, and as a dog lover I visit her less, but I still keep an eye out for new publications by her, because she only self-publishes. It is great when you follow blogs that talk about things that interest you. It sounds like you have found a great blogging community. If we make friends, then it's more likely that a blogger will buy/read your book. Thanks for coming by Parlance. I will be over to visit shortly. Another interesting and thought-provoking post. It does seem to me that bloggers are not posting as regularly as before. I know I'm not based on time constraints and such. I understand how newer bloggers may feel that the community is close-knit and it's hard to find a way in, but I've also noticed that newer bloggers don't reciprocate as much as the persons who have been on the blogging scene for years. As long as there is something to interest me on a well-written and informative post, I'll have a look. I do admit that cover reveals are not fascinating for me. It's hard to find a way to do something different for a new book, so it takes quite a bit of imagination to think of something that won't bore people senseless. No, definitely not posting as much across the board. Time is the killer. And yes, I agree about new bloggers. Remember the times I visited, followed, commented like mad, but people ignore you until you have about 70+ followers. It's hard work to be accepted in the 'sphere. I think those who enter the A-Z to get new followers are mostly disappointed. Thanks for coming by, Joy. I'd agree that people aren't posting as often, and many of the blogs I've followed for years are now defunct. I like Feedly for that reason, because I don't delete the blogs that have been quiet, and if they decide to resume, it pops into my Feedly and I can catch up again. When I started, nine years ago, it was absolutely de rigeur to reciprocate, and I wonder if new bloggers realise this nowadays. I'm fairly eclectic in what I follow, because I'm interested in medieval history, miniatures and dollhouses, dogs, and - of course - writing. To me the bottom line is that I get a sense of the personality of the blogger, rather than just what the ostensible topic is. Great stuff. I'm glad you did a second post to cover some of the highlights. I'm like Medeia - I always return comments, but it takes me all week. And sometimes into the next one. I used to go to a random blog in the same way you do. Sadly, I don't have time for that now. I miss it. Returning comments is difficult, but IMHO it must be done. I've read posts by authors who don't agree (the intimation is that not all blogs are worth visiting), but I just think it's good manners. It is a fact that when an author has a new book you come across it on dozens of blogs and it does get boring. I don't often do a blog post on books unless it is something I have read and enjoyed. Not everyone is interested in the same blogs of course and if they all write about the same thing they would be more likely to lose readers I would think. I like it when a book is recommended in a post, rather than the whole book review thing which may/may not be genuine. I often recommend/post an excerpt from a book I've found particularly good. Some of my posts do tend to get long, and I am constantly trying to shorter them but when you are creating 10 tips for a specific subject it's hard to do that. When it comes to blog tours there are options that the hosts can choose from, like character interviews, author interviews, Ten Lists and promo posts with the blurb and excerpt. The reason why so many people see the same kind of posts for a blog tour is because most people choose to host the promo post. There's not much an author can do different with that for everyone who signs up because it is the same information. Although some people may see those posts over and over again, it's the readers of those blogs who have not seen it yet that those posts are for. Besides, I've heard that people have to hear about your book seven times before they may consider buying it, so repetition is not all that bad. Thanks for joining in the discussion, Chrys. I have hosted many blog tours in the past, and the author usually offered to do it all and send it to me. I suspect this is because it's easier to get hosts if there's not much work to do. I only need to read about a book once before I buy/reject it. Sometimes I make bad choices as you can't tell what the writing style/formatting/English useage is until you either download the free excerpt. I do that now rather than rushing in to buy it because the cover, blurb and synopsis sounds good. Thanks for posting my opinions. I know we both share our love for blogging and it frustrates to see where it has gone. Thankfully it can be fixed and if not, well, we still have our favored blogs and can enjoy those for as long as they are available. Time is our real enemy here. We don't have the time to write wonderful and engaging posts as often as we'd like. And with SO MANY new bloggers it is impossible to keep up. I used to spend five to ten hours a day blogging. Seriously. But now If I am lucky I may spend two. We want to keep up, but it can get discouraging reading the same information on twenty or more different blogs. Discussions like this, Denise, will help and hopefully produce more interesting posts. Thanks for stopping by, Michael. Your input is valuable. Here's to the wonderful world of blogging. Thank you for featuring my comment...and I am returning to comment back. I love meeting new bloggers, especially the ones who throw themselves into blogging, return comments, and genuinely want to get to know others. The ones who have a "if I build it they will come" mentality will not get any visitors if they're not showing an interest in others. I have come across published authors who stopped returning comments and now only construct posts about their books. I do miss interacting with some of them. Yes so true. It is hard to know how to build up a readership for newbies. When you think about it, there's not much info out there for them. I hope no one takes this wrong, but I've always wondered - what would happen if we all became authors? Who would buy all of those books? And now we see it in the mass of releases. Cover reveals are overdone now and sadly few covers are really spectacular enough to need one. I think one week before the release is too close though. A month out is better. Enough to tempt people and get them to add it on Goodreads. I've been blogging for over 9 years now and it has changed so much. I read once that we shouldn't be trying to sell to writers, we should be selling to readers. But at least you tried Crystal. I generally will skim over a long post. 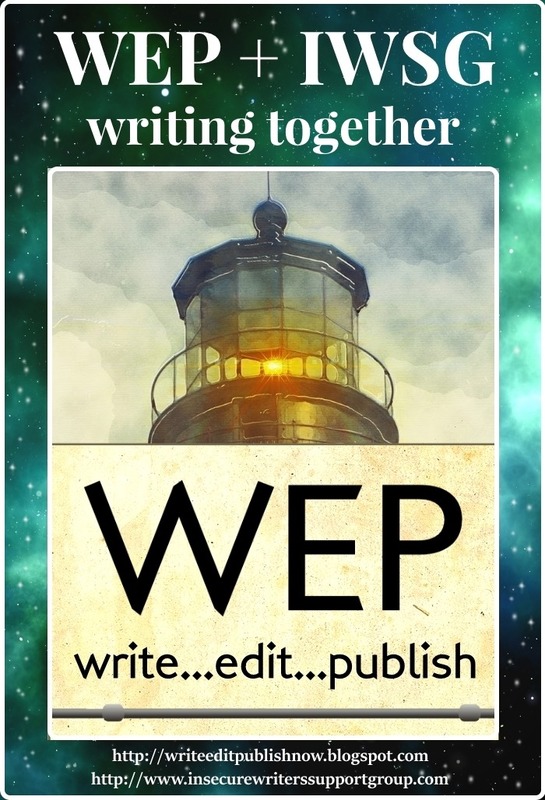 WEP is an exception as I really do try to read every word that people post, but when participants go over the 1k limit, that kind of annoys me. It's hard enough taking the time to read 1k when I have many more blogs to visit as well. I agree, but i have been guilty at times, but only ever by a few words . I agree long posts can be too much to take in, especially when you've set aside time and need to get through as many as possible. YouTube videos seem like a great idea, but again, I tend not to watch because I don't have time. My own posts tend to be focused on my writing life - I keep reviews for Amazon and Goodreads, although I do have blog tours/cover reveals sometimes. People seem to enjoy what I like, because they comment. When commenters disappear, I'll look again at what I write. it's fun to find someone random. I do the random commenter thing too! Yes, but I remember how hard it was to break in. I love meeting new bloggers. For the newbie bloggers, it IS very difficult to break in. But you have to hang in there. You also have to make the time to visit other blogs and leave a comment. 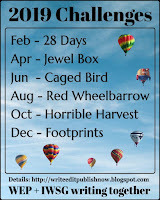 I suspect that lots of new bloggers don't continue with the visits, after the AtoZ challenge. With blogging, the challenge is to post fresh/exciting content, to keep your followers coming back. That having been said, I'm guilty of posting numerous cover reveals/book releases, because I like to help my blogger buddies. But it does tend to become repetitive. You've done very well Michelle. It is very difficult not to turn your blog into a promo machine when you want to support blogger friends. I try to visit a random visitor I find on a blog at least a couple times a week. Very fun and interesting. It is a great way to meet new bloggers. :) Glad to hear you do something similar. I think one of the best ways to keep blogging fresh is to not stress out about it. Try to stick to a schedule, but readers understand it you can't. Visit those who visit you and write about topics that interest you. If a meme or regular type of post becomes to difficult- change it up for something you like better. Loved reading all the comments. So many great things to think about! Hi Jess. Fresh is best even in blogging. Lots of food for thought here. I try to put a few different types of books into a review post because I know we all have varied reading tastes! It *is* weird when a book tour or cover reveal for a new book ends up being the same post on a lot of different blogs - but if I know and like the author then it's kind of exciting to see them everywhere, and I realise personalising a tour completely takes a lot of time on the author's part. I try to reply to everyone who comes by because it's great to feel like readers might be interested in my posts - even if I fall behind I'll always try to catch up. I agree, as long as the content is interesting, length of the post doesn't matter. I've blogged a few cover reveals and also a couple of book tours in my time, but I am selective. Michael makes an excellent point. I'd love to see an end to the blanket cover reveals, but I'd also like to see bloggers promote new authors and/or books they are familiar with and enjoyed instead of every writer and book that comes down the pike. While it's certainly easier to feature a new cover or canned tour than it is to write an original post, does anyone benefit? All the evidence suggests cover reveals and blog tours accomplish little in the way of promoting/selling books. I think a huge part of that is their mind-numbing ubiquity. Thanks V.R. Yes, it's better if you can say how much you enjoyed a book rather than recommending one you've not read. Once upon a time Meg Rosoff, author of How I Live Now, shortly to be a feature film, used to comment on my Blog. I wrote a post about her book and asked her why she didn't respond. She told me that she didn't want to be seen as 'publicity seeking'! However, she didn't need me as she has had several best-sellers now. Authors can be tricky bloggers. I'm sure they get so busy once they hit pay dirt they can forget about those who helped them on the way. It was worthwhile reading all the comments showing a variety of thoughts. Many did not like long posts. I know most of mine are long, but I place a lot of illustration with them – photo, art or postcards. I read many blogs but only one who is a published author, so I cannot comment on this type of blogs. For a while I tried to find all the blogs that talked about Paris (mostly because I was homesick,) and there were so many, but most of them never came to my blog or just a couple of time. I think they were interested in the Paris mystique as written by most (in English) who have never been there or just once– like a Shangri la place (the Paris of tourism, rarely the Paris of demonstrations or fires in the streets…) They did not care about a Parisian’s recollections or even just the history of Paris or France, so I stopped. I like to read travel blogs and I also write often on our trips (and I told you earlier one of the reasons.) Sometimes I will click on random blogs when I have some time – it’s like switching to a new channel on TV to see what else is out there. I enjoyed this post and all the responses you received and learned a new term “cover reveal,” that is not too clear to me though. Thanks for coming back Vagabond. Ot is lovely to read your thoughts. Alex was talking about this post on his blog. I think that any blog needs to change and evolve over time or it's gets stale. I also think that people need to stop jumping on whatever bandwagon happens to be passing by and do some creative stuff. God knows that I've had to pull back on my blogging over the last couple of days, keeping it to just necessity so people hear about my book release days. I've tried to keep it relatively restrained but at the same time I've mourned my inability to be a more active blogger as I used to be. I also agree with Gary about some very mercenary blog following that is just to generate blog followers. Those are the ones that I keep my distance from because I've always believed in quality not quantity. Nice to hear from you Jai. You have been quieter than you used to be, but we all got busy, didn't we? I can't keep up with all the wonderful blogs, and that makes me sad. It's overwhelming most days. And the thing is, there is so much information that I need, or at least I feel I need. What is I miss something important! Oh dear, guess I better stop typing and get back to reading. Hi Denise! Happy IWSG. Happy IWSG to you Joylene. It's hard to keep up for sure. Lovely to hear from you Jen. I miss you.